Last week's mystery seeds belong to a plant that is commonly called Eastern red cedar, although it is actually a juniper, Juniperus virginiana. 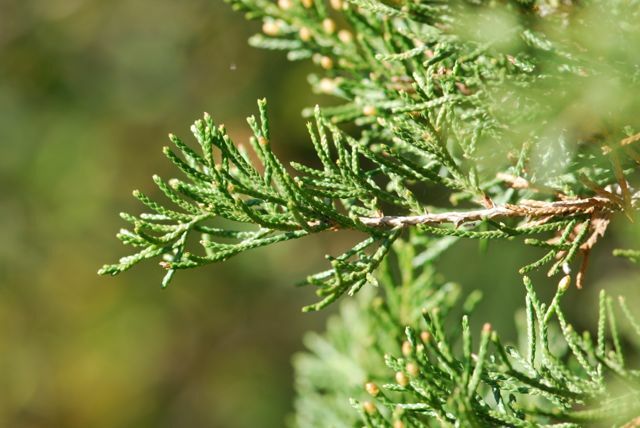 Eastern red cedars are small, cone-shaped evergreen trees. They often grow in areas throughout eastern North America where fires or agriculture have removed the dominant forests and created clearings. The older leaves are over-lapping scales. The new growth is spiky. The mature scales have an almost braided appearance. 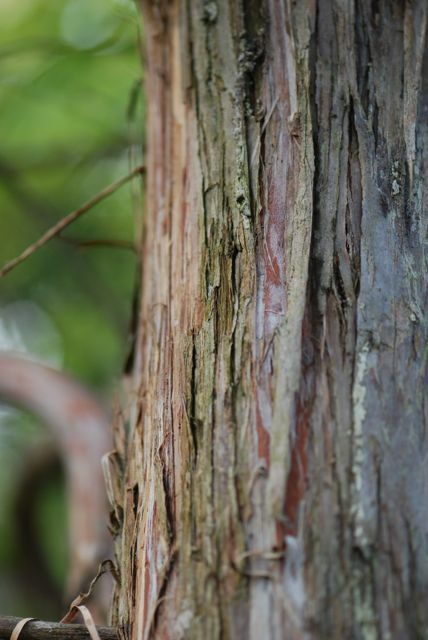 The under bark and wood are reddish-brown, hence the "red" part of the common name.The wood is rot-resistant and is used for fence posts and specialty furniture. 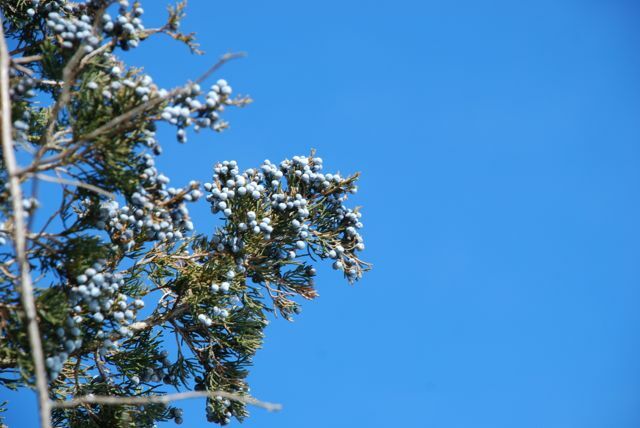 What are often called berries are actually blue seed cones, because junipers are a type of conifer. These "fruit" are used as food by cedar waxwing birds in the winter. 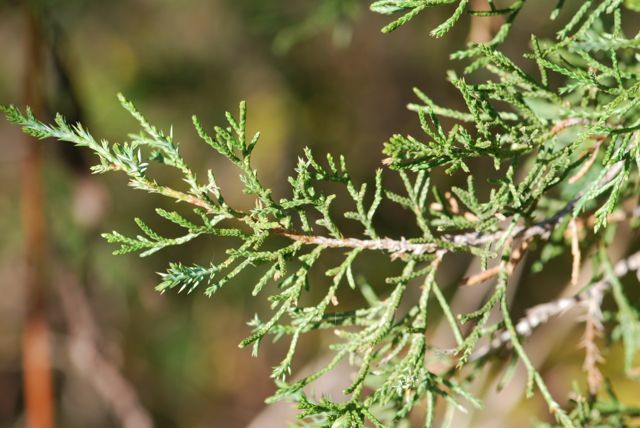 Apparently this species is close enough to the mountain cedar (Juniperus ashei) found in Texas, that people who are allergic to the pollen of one are often also allergic to the pollen of the other. 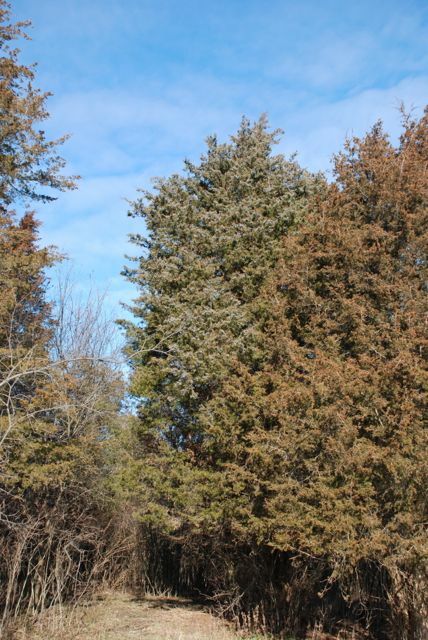 Many of the conifers are wind pollinated and shed a lot of pollen. Junipers are useful as well, because they catch and hold a lot of the snow in the winter, thus acting as natural snow fences and aiding local watersheds. What kind of junipers grow where you live? Are they called cedars or junipers?